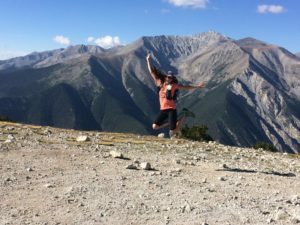 Kriste Peoples is an outdoor enthusiast who loves to share her love of trails, whether she’s running, hiking, snowshoeing, or backpacking. She’s a Ragnar ambassador, a couch-to-5k coach, and a leader for Outdoor Afro and Women’s Wilderness Institute AND a proud Trailblazer for L2S Fitness–all of which means she can often be found pointing excitedly at park maps and cheering adventurous souls around the next turn. 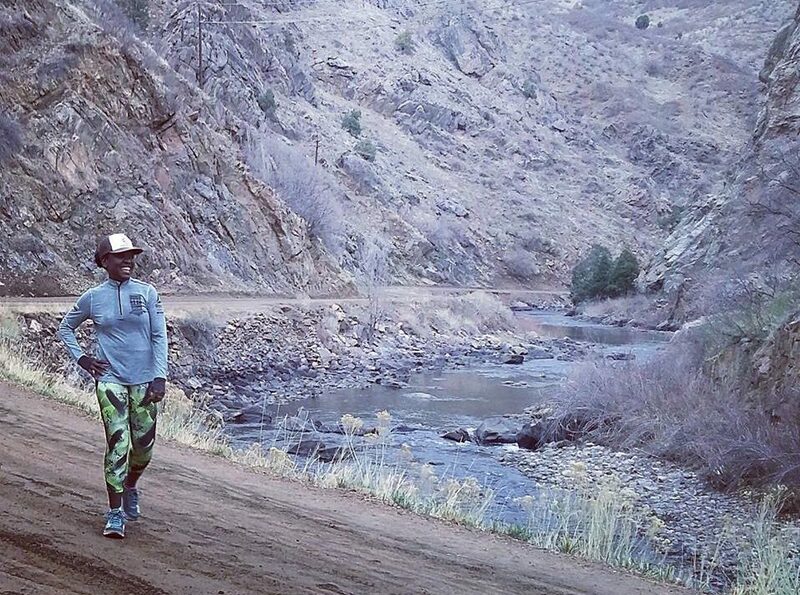 Having made an unofficial shift away from road running just few short years ago, she’s still discovering the beauty of Colorado’s numerous trails, and has yet to find an adventure she loves more than Ragnar. 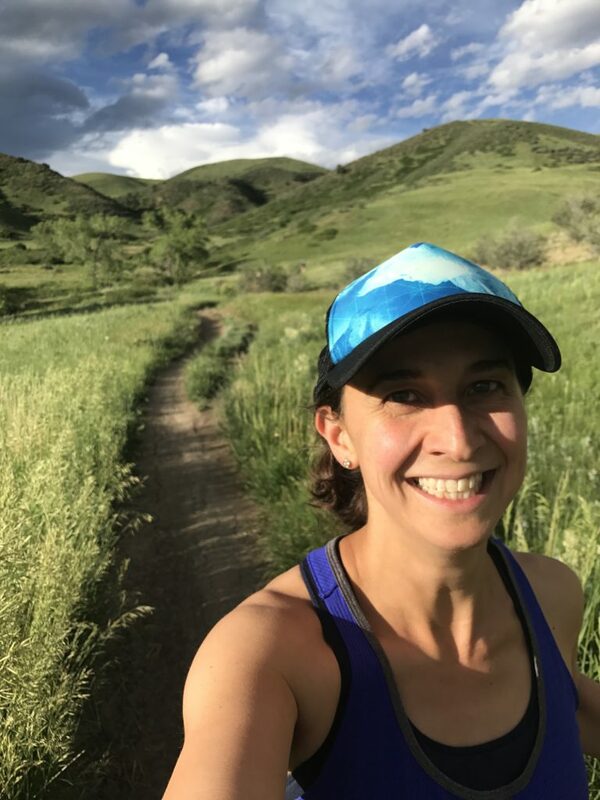 Kriste also began coaching groups of the beginner trail running course last year and will be coming on for a 2nd year of leading and empowering women on the trails. By day, she works at a New Age media company that shares in another of her passions: making the world a better, brighter place. My name is Brie and I moved to Golden, CO almost 20 years ago from a little town in Iowa. I came out here to finish college and fell in love with all things this amazing state has to offer. For the 1st ten years I lived here I saw Colorado as a triathlete. Spending my summers swimming, biking and running all around the front range. Winter was reserved for skiing. I’ve been an avid skier since I moved here and began back country skiing a couple years ago to get away from the crowds and closer to mother nature. I’ve fallen in love with skinning and the uphill skiing portion that back country skiing has to offer. I’ve given up triathlons for now to focus on paddle boarding, mountain biking and hiking in warmer temps. I have two kiddos and two cats who love the outdoors as much as I do! You will see them on the trails with me – snow, sun, water and all. I love sharing my passion for travel, adventure and the outdoors with anyone wanting to learn! And if you ever get me started talking gear you may never shut me up! 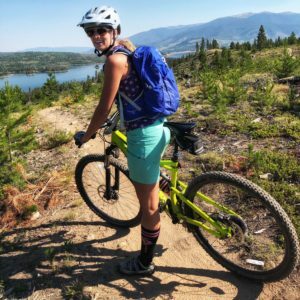 Brie is co-leading our mountain biking courses + groups and she is also the Colorado Chapter lead of our partner Switchback Chics of Colorado. You can read more about her adventures and training/gear insights on her blog HERE. 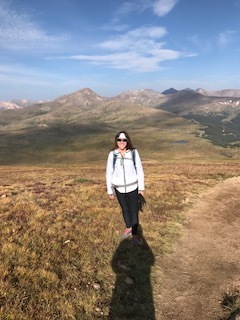 Lauren Jones grew up in Littleton, CO and has been running, biking and hiking the front range trails for almost 20 years! She has her degree in exercise science and sports performance and has been working as a trainer and coach for almost 15 years. Lauren is the mother of 2 active little boys and is the founder of Life’s 2 Short Fitness. She is passionate about introducing women to new sports and empowering them to overcome obstacles, build confidence and explore the outdoor world. Learn more about Lauren here. Karen Adler didn’t start running until her early 50’s, but once she got out on the trails she was hooked! Karen is a Colorado native who loves being outdoors and exploring new places with new friends. She’s also done endurance events and obstacle races such as the GoRuck Tough and Spartan. She is excited to be joining this year’s trailblazer team to help encourage and inspire back of the pack runners! Kelly Donnelly lives to play in the mountains and share the mountain joy of movement with others. 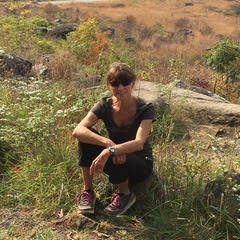 You can find her trail running, mountain biking, alpine & XC skiing, camping, and identifying wildflowers along the way. She’s a Physical Education teacher, Girls on the Run coach and ambassador, ski instructor for the National Sports Center for the Disabled, and former personal trainer. She joined as an L2S Trailblazer last summer and will guide the pack as a running coach this season. Years of adventuring in Alaska introduced her to her love of peaks, trails & scanning for wildlife. While she misses those vast mountains, she’s eager to continue exploring Colorado’s beautiful and humbling trails. She’s eager to continue leading others to discover their abilities, gain confidence, develop habits of play & shine bright. Sara Spolrich has been on the move for over ten years. Starting out with short road races and triathlons she then progressed to trail ultra distances where she found her happy place. Her love of ultra-distance running spawned after hiking and running up and down the east coast by way of the Appalachian Trail. 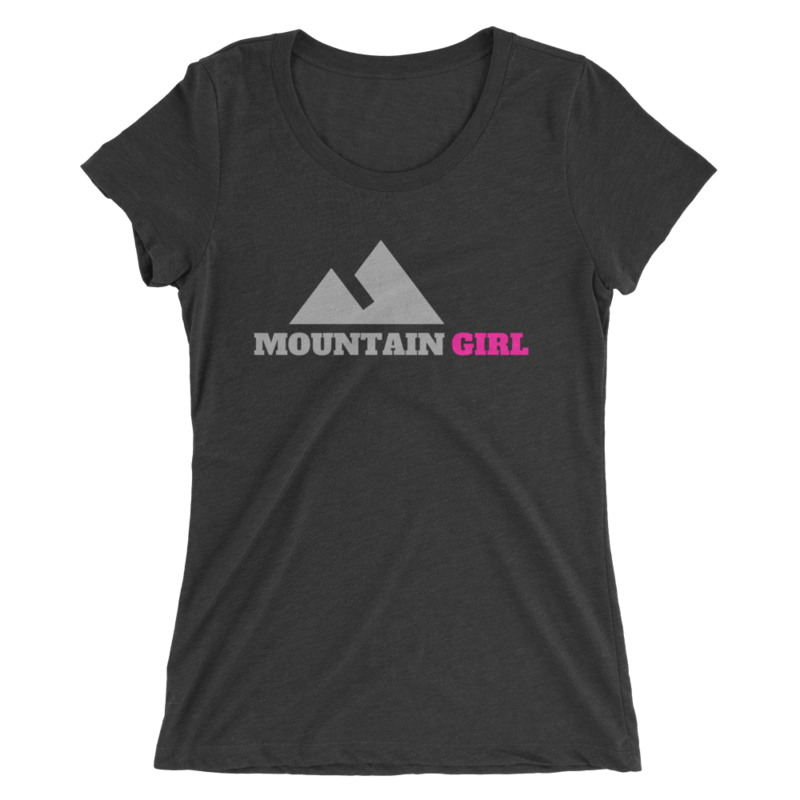 She feels most inspired by moving fast and light in the mountains, but you’ll catch her signed up for a few races here and there. Sara landed in Golden a year and a half ago after spending a year climbing across the country. Most days you’ll find Sara outside. With so many trail systems and endless mountain ranges to chose from its hard to take a day off! Running makes me clear my mind and to see the world with positive attitude and that the life is not that bad.. in fact, is an awesome life to live, believe and learn. More I run, more I become one whole! This will be Lisa’s 3rd year trailblazing for L2S. Lisa Orgren moved to Colorado from Southern California 2 years ago and fell in love with trail running. She enjoys the challenge of the climb, the beauty of nature surrounding her and the speed of the descent. But even more than that, she loves the amazing women she’s met who run with her. As a new trailblazer, she can’t wait to share her enthusiasm and the art of the running selfie with others. In addition to trail running, Lisa enjoys training for and competing in triathlons, obstacle course races and road running races. Lindsey Warhurst is a Midwest transplant with a love for the great outdoors. You can catch Lindsey snowboarding (when the weather permits), mountain biking, and of course trail running! After playing lacrosse in collage Lindsey still wanting to participate in a sport and caught the runner’s high. 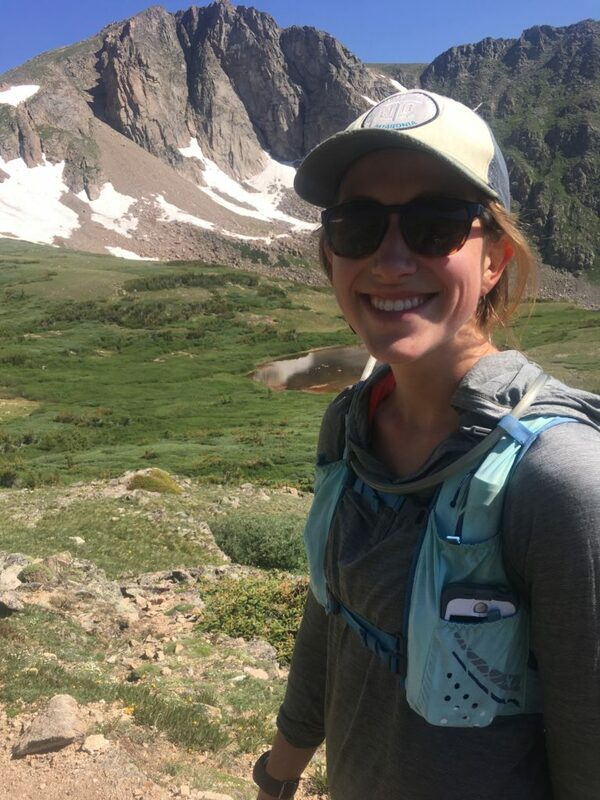 Lindsey moved to Denver Colorado 6 years ago and fell even more in love with the great outdoors and all that Colorado has to offer. She got a taste for a little bit of everything from kayaking to rock climbing while still of course cruising the trail on her mountain bike but, she always had an attraction to running and a big curiosity for trail running. Lindsey started trail running summer/fall of 2017 participating in her 1st trail races starting from a 5k trail run up to a trail half marathon in Frisco CO! This fall at her last trail race of the season she placed 3rd in over all women in the Xterra 8k Golden Gate Canyon State Park trail race! 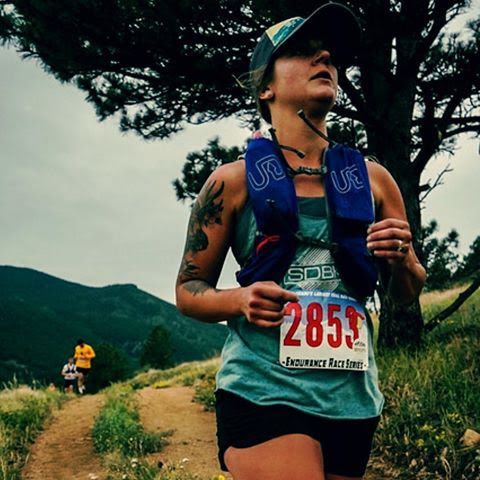 Lindsey is very excited to be apart of the L2S Trailblazer Team and looks forward to not only pushing her trail running further but encouraging others while being a part of the amazing trail running community! Helena Harman is a native of the east coast but has spent most of her adult life in Colorado. She enjoys multi-sport, primarily running and cycling and is Boston Marathon runner to boot! A highlight in her athletic accomplishments includes completing Race Across America (cycle race across the country) as part of a 4-woman team where they were the first women to finish. Helena is alsoa certified yoga instructor. Next time you see her on the trail, challenge her to hold a tree pose, she can do so for more than 5 minutes on each leg! 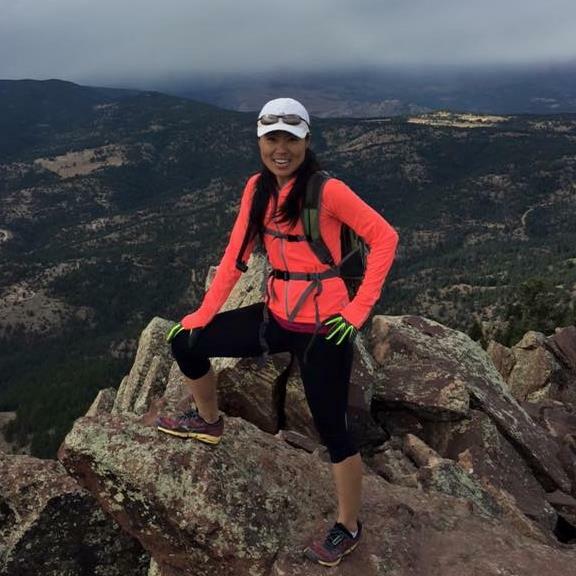 Helena started trail running just 2 years ago with L2S and is looking forward to helping women gain confidence on the trails as a new trailblazer!